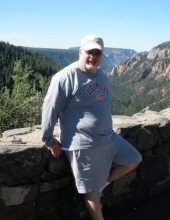 Brian K. Metzger (74) of Canton, MI, passed away Sunday, January 27th, while vacationing in Florida. Brian was born the third son to Cdr. Robert M. Metzger and Mary Elizabeth McGee Metzger (Tee) on October 18, 1944, at the Portsmouth Naval Hospital in Kittery, Maine. As a Navy brat, Brian’s family moved to many places, instilling a love of travel and adventure early in his life. Brian attended high school at Traip Academy in Kittery, ME and graduated from Bishop England High School in Charleston, SC in 1963. He graduated from the Citadel Military College in Charleston with a degree in Electrical Engineering in 1968. After graduation, he served in the Army Corps of Engineers for 9 years earning the rank of a Captain. He met his wife Sharon Moorer of 48 years while in South Carolina and on December 5, 1970, the two were married after 5 months of dating. The Army would take Brian and Sharon to Hawaii, Texas, and Maryland before being honorably discharged. In 1978, his new civilian job relocated him to the great state of Michigan where he began work as a Product Design Engineer for the Ford Motor Company. Over the next 29 years, Brian’s work at Ford took him around the world including multiple visits to Japan and Germany all the while enhancing his love for the automobile. During his retirement, his dream of owning multiple classic cars and continued travel came true. Brian is survived by his wife, two daughters: Michelle (James) Hardenbrook of Fowlerville, MI and Nancy Metzger (Blair) Carter of Sebastopol, California and three grandchildren. He is also survived by his middle brother, James Metzger, of Idaho and Florida, and many other family members from around the U.S who he always cared for. Brian is preceded in death by both of his parents and oldest brother Robert McGee Metzger. During his 74 years, Brian continued to travel, attend car shows, and spend time with family. Perhaps his favorite pastime was to put on his Panama Jack hat, latest Hawaiian shirt, turn up 60’s tunes and “cruise” the Michigan streets in his ‘64 Ford Falcon. Everything in life that Brian undertook he did with his signature sunny disposition, unique humor, and charming personality. Brian was an avid member and supporter of the Vietnam Veterans of America local chapter 528. The family wishes, in lieu of flowers, memorial donations be made to the local VVA Post 528, 1426 S. Mill St, Plymouth, MI 48170. Envelopes will be provided at the Funeral Home. Visitation will be Sunday, February 3, from 1-6pm at the Schrader-Howell Funeral Home, 280 S. Main St., Plymouth, Michigan 48170. His Funeral Service will be Monday, February 4, at 11am at the Funeral Home. Family and friends may begin visiting at 10am. "Email Address" would like to share the life celebration of Brian K. Metzger. Click on the "link" to go to share a favorite memory or leave a condolence message for the family.